Custom-made by hand, these fine silver collar stays are a must-have in any man's closet. Keep your look crisp! One pair of collar stays are handmade to order of fine silver, monogrammed with up to five letters. Makes a perfect gift for any man in your life! Approximately 2.5", fits most collars. Comes in a metal slide-lid tin. Ready-to-order stays with non-personalized designs are in the works! 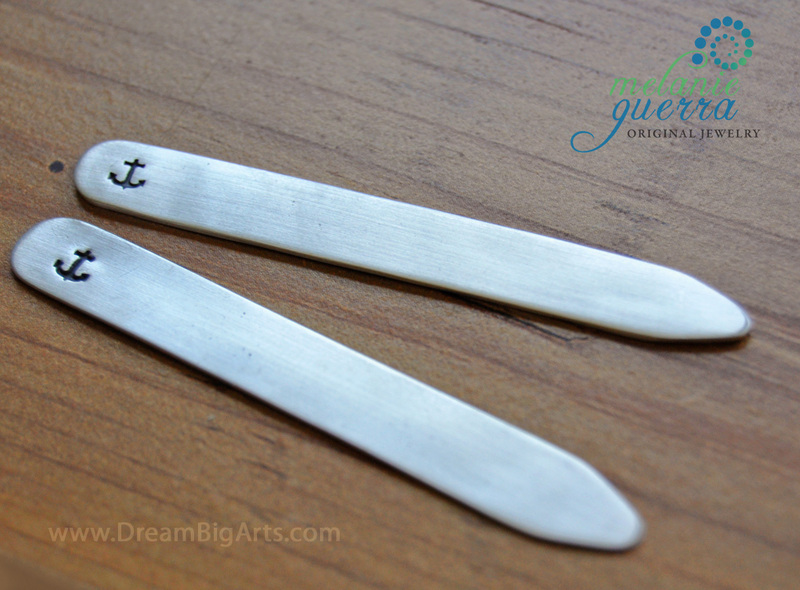 Handmade in my Boston studio, these fine silver collar stays are a must-have in any man's closet. Keep your look crisp! One pair of collar stays are handmade of fine silver, stamped with an anchor. Perfect for the man who loves the sea, sailing or boating in general. Makes a perfect gift for any man in your life! Approximately 2.5", fits most collars. Comes in a metal slide-lid tin. 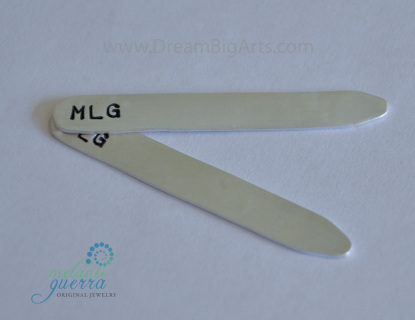 One pair of collar stays are handmade of fine silver, stamped with a horseshoe. The silver is hammered and has a brushed finish. Perfect for the man who is lucky - or makes you feel lucky!. Makes a perfect gift for any man in your life! Approximately 2.5", fits most collars. Comes in a metal slide-lid tin.